Gamma Labs has named the next new flavor for its flagship energy and mental focus supplement G Fuel. Just like the last few flavors the brand released, the latest addition to the family is inspired by the FaZe Clan member FaZe Rug. The upcoming flavor is actually Gamma Labs second Sour themed creation following the launch of Sour Cherry earlier this year. 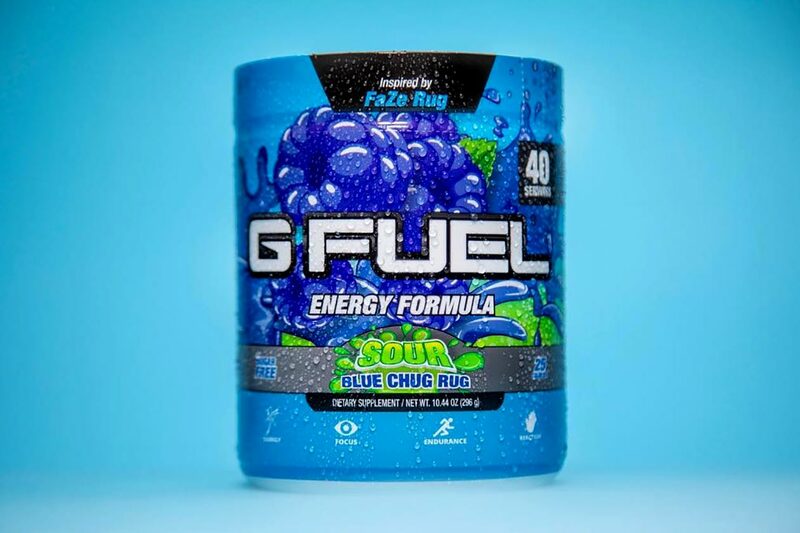 As for the name of the upcoming FaZe Rug G Fuel, it is Sour Blue Chug Rug which is appropriately branded in bright blue. At the moment, Gamma Labs is only saying that the new G Fuel flavor is coming soon with no exact release date or timeframe confirmed just yet.